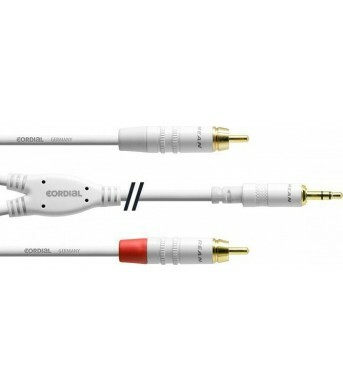 Cable 2 x RCA - Jack 3.5mm Male Stereo plugs with Rean Gold in White color and dimension 3 met..
Cable-Instrument Guitar 0.22 mm2 with rugged Jacket, triple shielding, with very low noise and low..
Cable-Instrument Guitar 0.75 mm2 with rugged Jacket, triple shielding, with very low noise and low.. 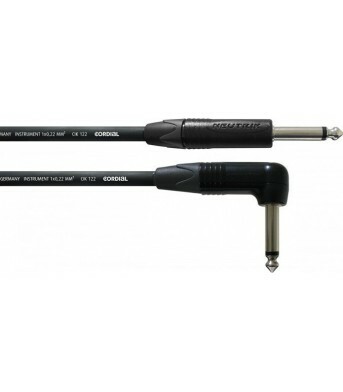 Microphone cable 0.22 mm2 high Robust Jacket, double-shielded, with very low noise and low resistanc.. Microphone cable with very small outer diameter of 0.088 mm2 high flexible jacket .. Microphone cable 0.22 mm2 high flexible jacket, double-shielded, with very low noise and low resis..
Cable Jack Mono Male 6.3mm angle - Jack Mono Male 6.3mm Angle with Neutrik connectors 0.15..
Cable Jack Mono Male 6.3mm - Jack Mono Male 6.3mm with Neutrik connectors 3 meters ..